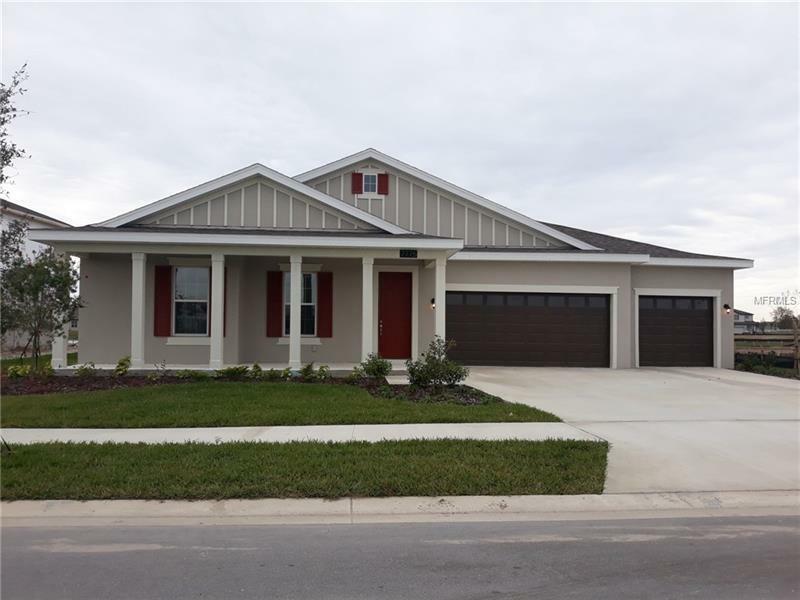 Brand new single story home with pond view in beautiful Epperson community in Wesley Chapel.Upgraded Kitchen Appliances, 42â upper cabnites, Backsplash, Butlers pantry, Tile floors, Upgraded carpet in bedrooms. Granite countertops, Extra lights, Laundry sink, Flat screen ready.Check out this spacious, open concept home. Tray ceilings, huge lanai with a pond view and large front porch are just part of what makes this home so inviting. There are tray ceilings in the Entry Way, Dining Room and in the Great Room. There is an Office at the front of the home with French doors. Two of the bedrooms (Jack and Jill) share a bathroom toward the front of the house. Pocket doors close the bathroom off so that you can have privacy. The third bedroom (Guest bedroom) is in the middle of the home, away from the Master and the other two bedrooms. It has its own Walk in Closet and full bath. The Kitchen and Great Room area are open concept and is great for entertaining and boasts the view of the extremely large pond from the sliding glass doors. The Master Bedroom has access out to the Lanai and has plenty of room for King size bed and all the furnishings. The Master Bath boasts and huge shower and Walk in Closet.